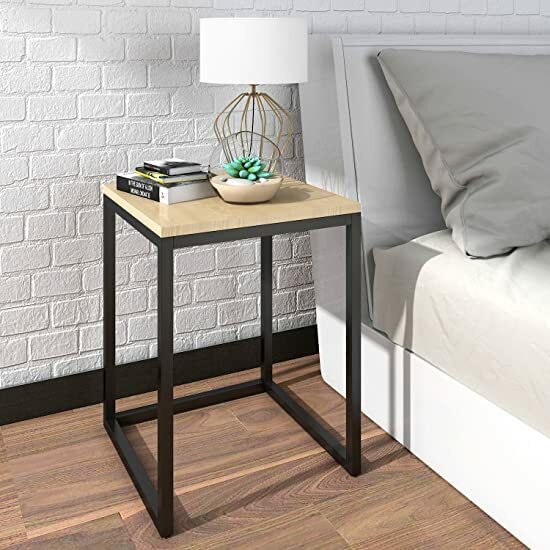 The side table is perfect to be used as a nightstand at your bedside to keep your cellphone, clock, lamp and other items within arm’s reach. 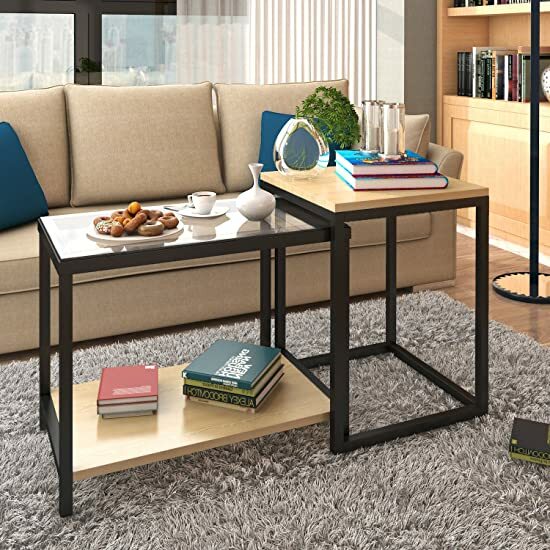 Complement your sitting area with this practical yet beautiful piece. 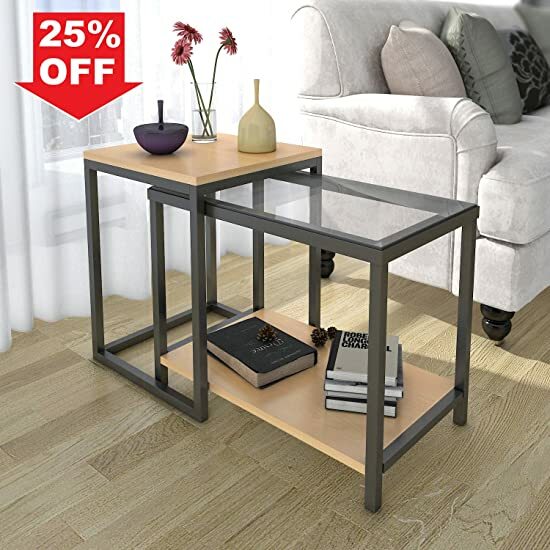 It helps to create your living room with function, storage and style. Place the side table on the deck or balcony to create a fun atmosphere, and make it a perfect spot to enjoy time outdoors with friends and families. 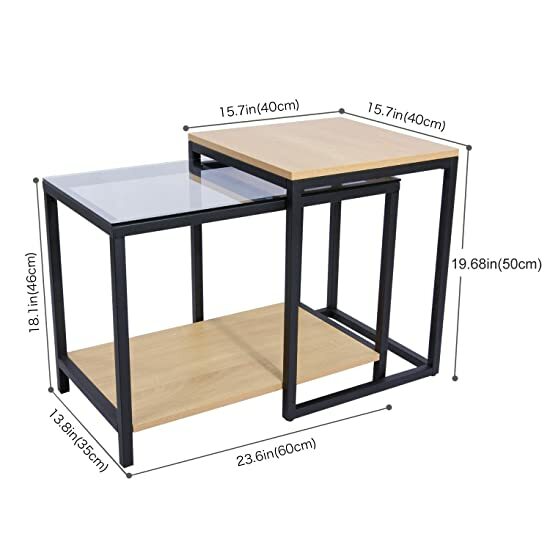 Product Dimensions: 39.4" x 15.8" x 20"
Package Dimensions: 30.3" x 18.5" x 6.3"
FLEXIBILITY & ADJUSTABILITY: The side table set consists of two tables that can be used separately or combinely to create your unique comtemperatory look. 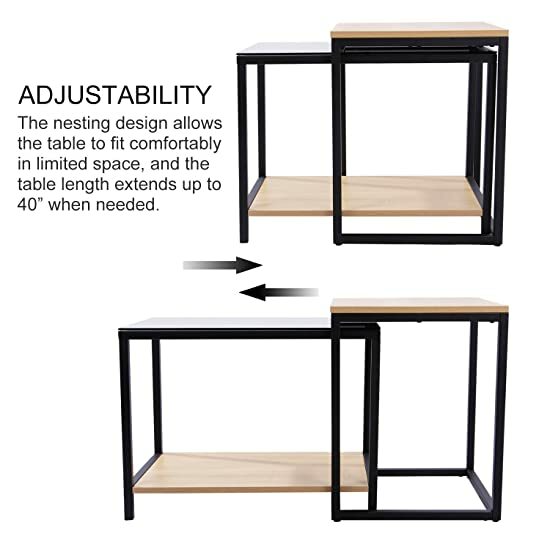 The nesting design allows the table to fit comfortably in limited space, and the table length extends up to 40" when needed. 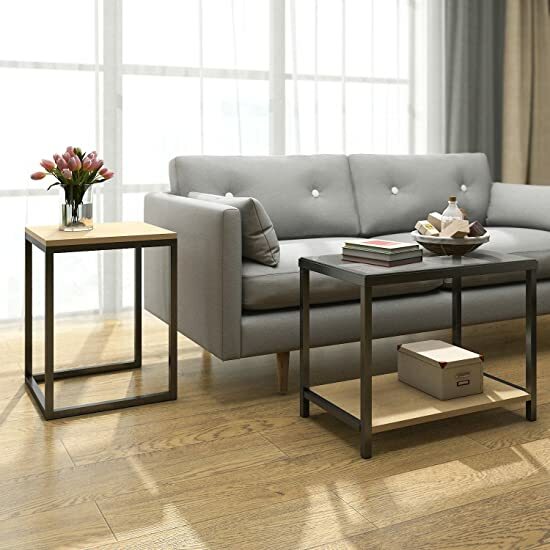 VERSATILITY: The gorgeous side table is a perfect addition to your existing furnitures, while the understated modern style allowing it to blend in seamlessly with any interior decor styles. 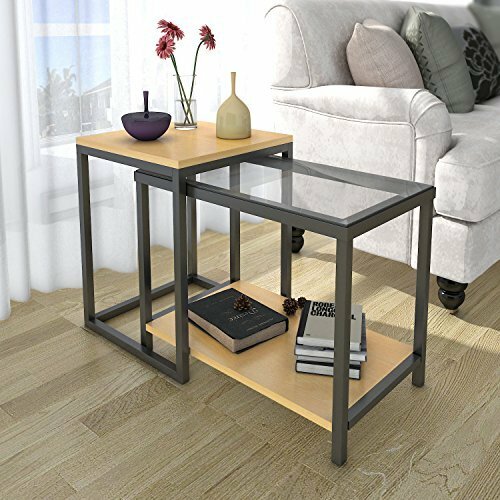 PREMIUM MATERIAL: Constructed out of anti-rust carbon steel, durable tempered glass and environmental E1 grade panel to ensure sturdiness, reliability, and stability. FINE DETAILS: It features plastic feet pads to protect your floor from scratching, and applied with alum cake glue to prevents glass from scratching. TIME-SAVING ASSEMBLY: Provided with easy to follow instructions and installation video to allow undemanding, straight forward assembly.